The Janka (or side) hardness test measures the force required to embed a .444-inch steel ball to half its diameter in wood. 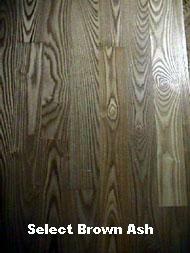 It is one of the best measures of the ability of a wood species to withstand denting and wear. By the same token, it also is a good indicator of how hard or easy a species is to saw or nail. 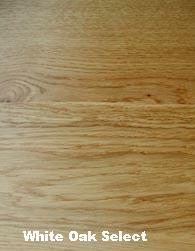 Northern red oak, for example, has a Janka hardness rating of 1290. Spotted gum, with a rating of 2473, is nearly twice as hard. If you’re accustomed to working with red oak and decide to tackle a job with spotted gum, you can expect it to be much harder to cut and nail. A rating is not included for bamboo, as bamboo flooring varies greatly between different manufacturers’ products and between vertical and horizontal construction. 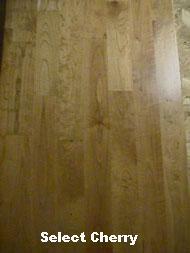 Likewise, a rating is not included for cork flooring. 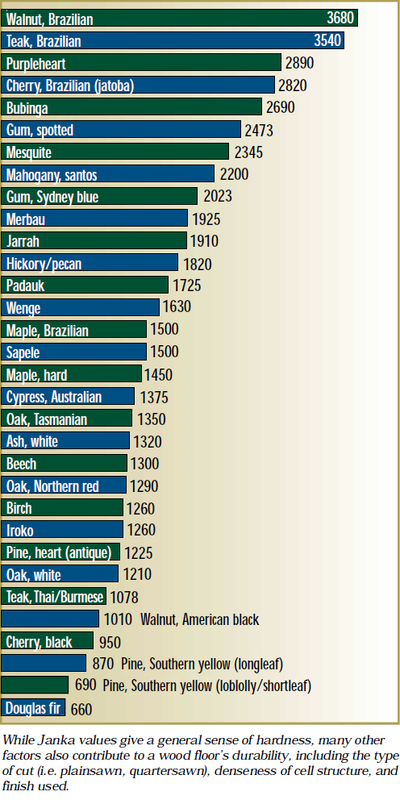 • Source: Hardness ratings for most species taken from the U.S. Dept. of Agriculture, Forest Service, Forest Products Laboratory, Center for Wood Anatomy Research Web site www2.fpl.fs.fed.us/TechSheets/techmenu.html. Bubinga value taken from Wood Handbook: Wood as an Engineering Material (Forest Products Society, 1999). 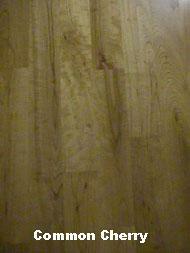 Padauk and Brazilian maple values were provided by Wood Flooring International. Spotted gum, Sydney blue gum and Tasmanian oak values were provided by Boral Timber. 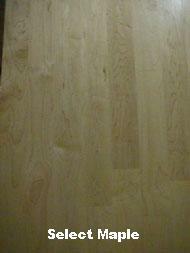 The heart pine rating was provided by Mountain Lumber. The mesquite rating was provided by Mesquite Products of Texas. 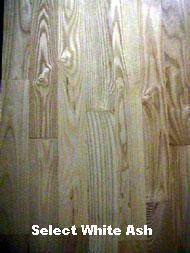 • Douglas fir rating is an average of ratings for Coast, Interior West and Interior North species. 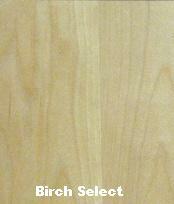 • Values for Brazilian cherry, purpleheart andThai/Burmese teak represent average values. A light colored hardwood that has been used for flooring, decoration and furniture in historic homes and public buildings for many generations. With its typically pale-biscuit and contrasting warm-brown colorings, ash is as big a favorite today as it has been with past generations. Its appeal, with today’s discerning and proud home owners, lies in its particularly pronounced and distinctive grain. As well as looking good, ash is a resilient species and can be expected to stand up to all the eventualities demanded of flooring today. You’ll probably know birch as the tree with the thin peeling bark most spectacularly seen in the silver birch variety. 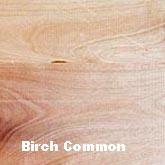 But birch has long been used in furniture manufacture and is now a popular flooring choice. 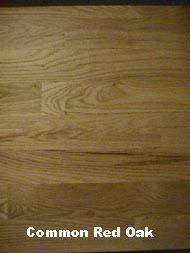 It has a fine, generally straight grain pattern and sometimes shows very small pin knots. Whether it’s the creamy yellow of the sapwood – for a light clean look – or the reddish brown of the heartwood – for a more elegant warmth – birch provides its supporters with the opportunity to express a truly individual style. A reddish colored hardwood that is a current flooring favorite because it presents a lovely “figured” pattern on its face grain and finishes to a silky luster. Cherry is a medium-to-hard wood and has been described as having the “warm color of cognac” that darkens slightly with time to become even more strikingly beautiful. 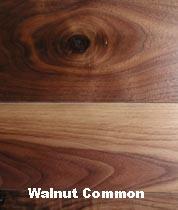 Occasional clusters of tiny knots, or very small dark streaks set cherry apart from other hardwoods. Both these natural characteristics result in a flooring which is truly unique with every finished floor having a “look” all of its own. Canadian maple is highly regarded for its resistance to abrasive wear, and is very much a flooring favorite because of its finishing and appearance characteristics. Initially very light in color, it “matures” with time, to a delightful honey shade. The maple tree is thought by many to be the most beautiful tree in the forest, and its timber produces flooring with a clearly defined grained of equal beauty. Because of its relatively high impact resistance, maple is a natural choice for use in sports halls and on other commercial projects. This feature makes is an ideal surface for today’s busy mobile family. 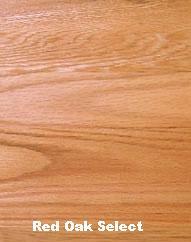 Oak is a traditional favorite and probably the world’s most popular light colored timber. It is chosen by most for its durability and beautiful patterning. This strain of the oak species is called “red” because of the rich red color seen in the tree’s leaves in the autumn. It produces flooring similar in general appearance to white oak, but with a slightly less pronounced figure and, although traditionally not quite as popular as its “white” sister, it has become more popular as the current fashion for light colored hardwood has grown. 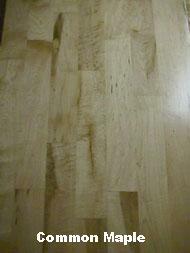 Generally it is oak’s pronounced grain that catches the eye and distinguished itself from all other hardwoods. 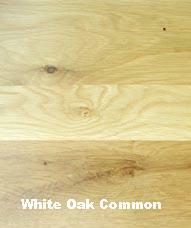 White oak is characteristically more fine grained and displays a more gray-brown color than its “red” sister. Traditionally, it has been the more popular choice of the species over the years, and is still found in the furnishings and decor of country and stately homes. Today, it is a popular choice with kitchen designers, cabinet makers and furniture manufactures, and of course, is a firm favorite for flooring. The “Rolls Royce” of cabinet woods, walnut produces flooring with a greater variety of figure characteristics than any other hardwood. Its light to dark chocolate brown coloring, occasional purplish cast, and darker streaks make it the most popular choice of darker colored flooring. A further characteristic of the walnut, the wood’s creamy sapwood, creates a stunning and brilliant contrast to the dark hues, giving every walnut floor its very own unique character. 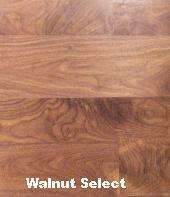 A walnut floor will stand the rigours of everyday life with very little maintenance.